Well!! What a day! What a turnout! 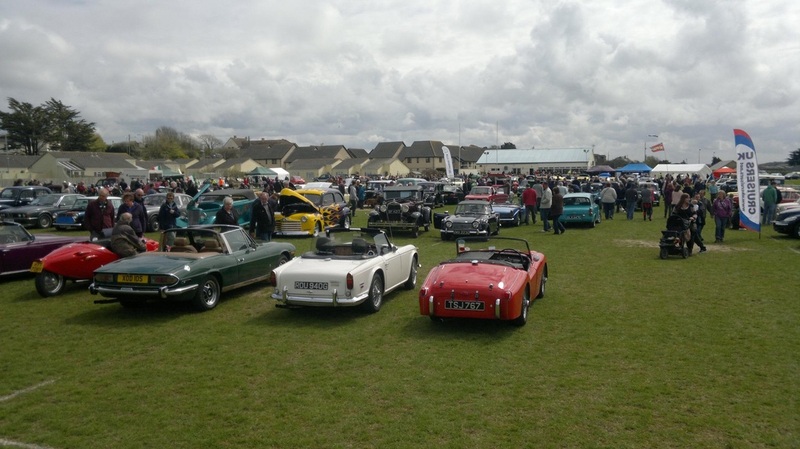 The 5th Bude Motor Classic was an outstanding, record-breaking success yesterday with over 220 vehicles attending and thousands of visitors - and the weather was very kind to us! Many, many thanks to all those participants who journeyed from far and wide yesterday to be part of our big day, and many thanks also to all of the helpers, planners and club members who made it all possible. Special thanks as always goes to the Bude Rugby Club for allowing us once more to use their superbly located ground for our event. More news and images from the day will be posted soon! In 2011, I met Bob Dyke from Cornwall and his steam car Whistling Billy. Last year Bob took WB to Prescott hillclimb and apparently enjoyed himself, although the obligatory fireproof overalls of his co-driver failed scrutineering. See pic above. The small boy looking on seems to have the right idea. I have invited Bob to bring WB to Castle Combe on 10th October for the parade laps. He assures me that WB is surprisingly continent and does not leak oil etc, so the track should not be contaminated. Needless to say, I have asked Bob to bring his co-driver, if possible. 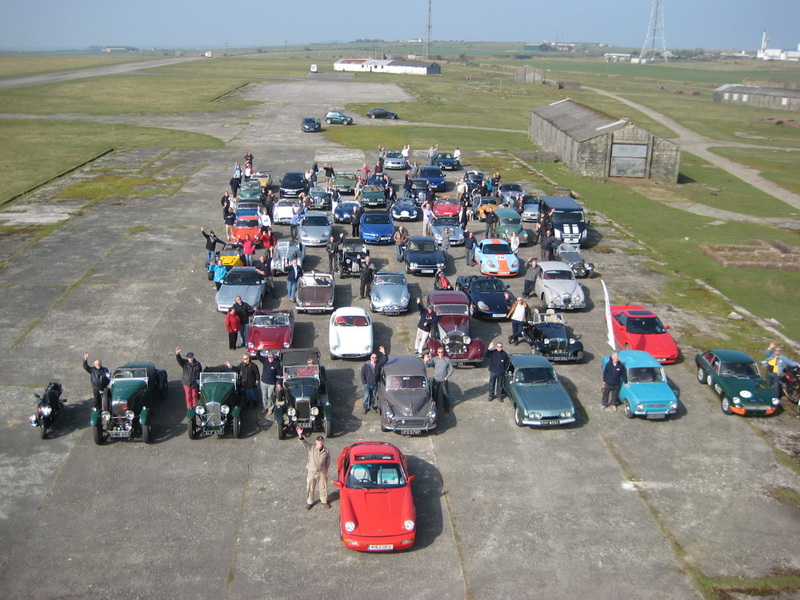 Bude Motor Club celebrated the tenth anniversary of its inaugural run on Sunday 25thMarch when members and friends assembled with over fifty vehicles at Davidstow Airfield to re-enact a photograph taken on the original outing which comprised eight cars and three motorcycles! Members were able to have flights in light aircraft and the party then went on to the Davidstow Airfield and Cornwall at war Museum courtesy of Steve and Sheila Perry before having a carvery lunch at the Bosinney House Hotel. Thanks go to Michael Vanstone Plant Hire for providing the platform for some stunning photographs, Steve and Shiela Perry for their hospitality and the staff of the hotel for an excellent lunch. 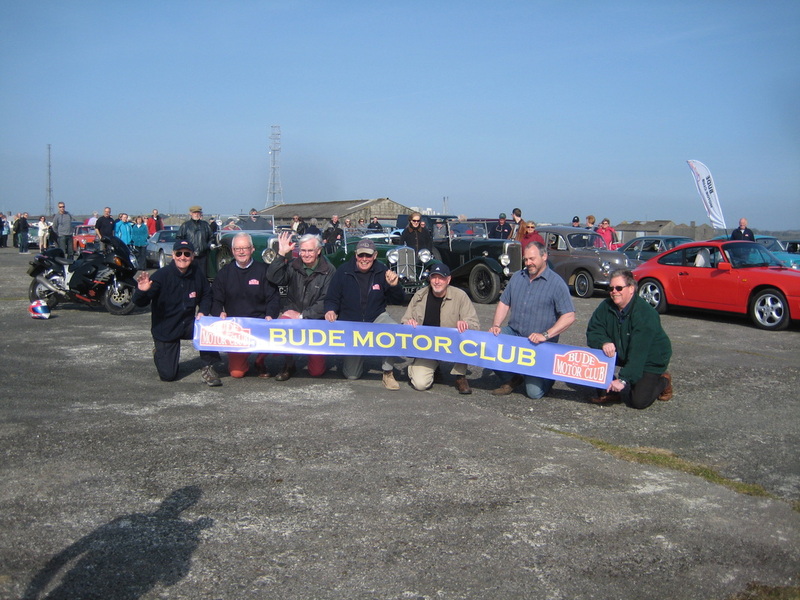 The original members of Bude Motor Club back in 2002. My - haven't we grown in ten years!